It's finally time to start putting those winter outfits to the back of the wardrobe and instead fill it with lighter, colourful and playful Spring/Summer clothing and accessories. 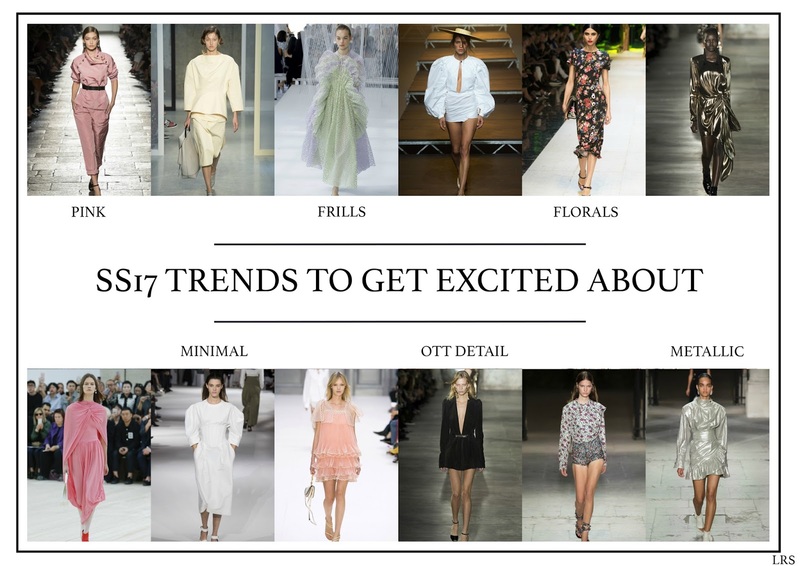 Ladies, the clocks have sprung forward, the sun shining and you're officially allowed to start getting excited about SS17's favourite trends. Carrying over from AW16, the pink trend isn't going anywhere. This season it's about having fun with the colour, playing around with materials, textures, and proportions. 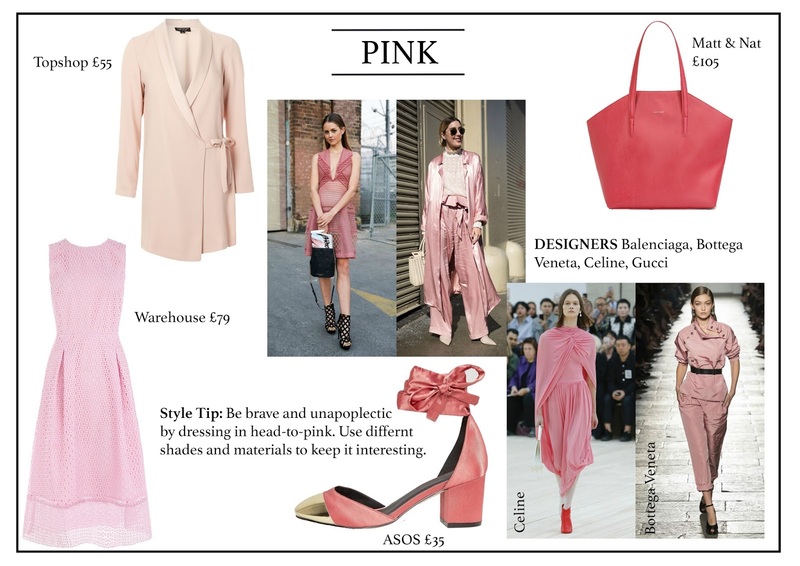 What's different about SS17 is the varying shades of pinks; Celine and Bottega Veneta preferred the lighter, softer shades while Gucci & Balenciaga loved strong, attention-grabbing tones. Style Tip: Be brave and unapologetic by dressing in head-to-toe pink. Use different shades and materials to keep it interesting. 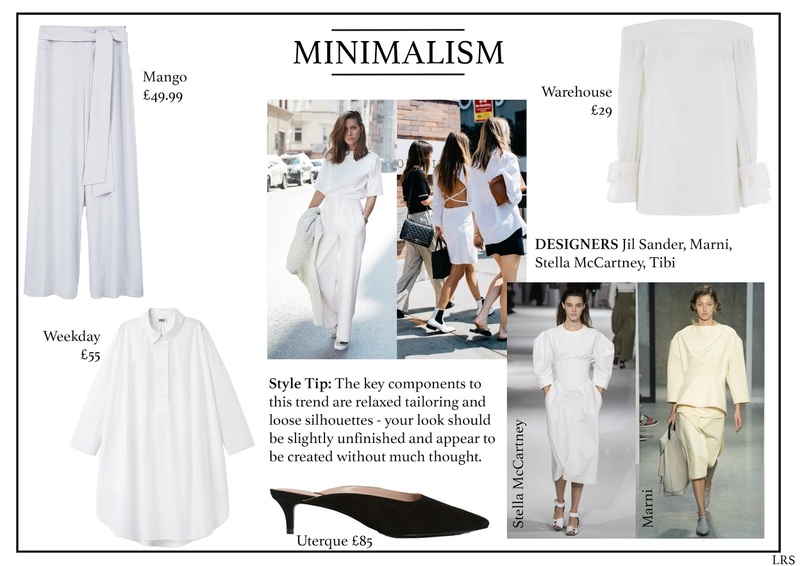 Stemming from the typical laid-back summer dressing seen on the shores of Cote D'Azur and the Almafi Coast, Minimal becomes a part of everyday dressing for the woman who's too preoccupied to slave over an outfit. Choose clean lines like Stella McCartney and neutral tones like Marni to ensure fuss-free dressing. Keep things simple and go back to basics for an easy and guaranteed chic look - a crisp shirt has never been so in demand! Style Tip: The key components to this trend are relaxed tailoring and loose silhouettes - your look should be slightly unfinished and appear to be created without much thought. 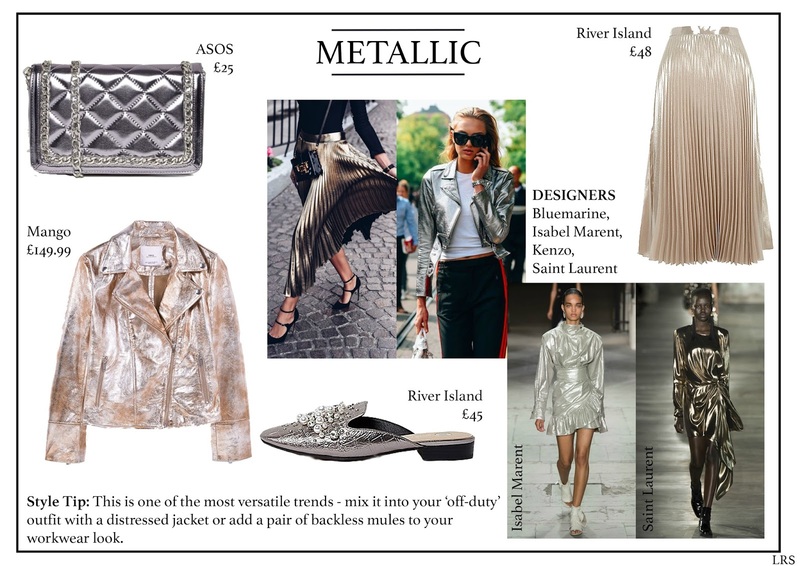 A trend that has the 80s revival to thank, metallics were seen on multiple runways in every city during Fashion Month. While Isabel Marent and Saint Laurent focused on evening wear, there's no reason for your daring sense of style not to shine in the daytime. 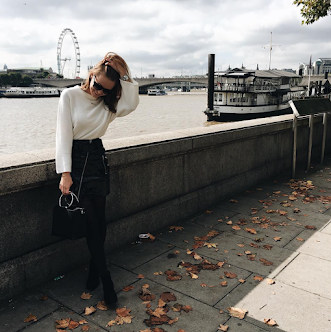 The best thing about this trend is your ability to play around with it by using every piece of your wardrobe; jackets, trousers, skirts, bags, shoes - there's no limits. Style Tip: This is one of the most versatile trends - mix it into your ‘off-duty’ outfit with a distressed jacket or add a pair of backless mules to your workwear look. A must-have trend for Spring and Summer in the city, frills have a very feminine, playful and light feel to them this season. Sweet, sugary and candy tones may be the first colours that come to mind but black is just as welcome; it's the perfect way to wear this look at night. In terms of materials, a sheer tulle material is a must; either layer with a t-shirt or be brave and flash an equally lacy body. Style Tip: If you feel like this is just too girly for you, toughen up your outfit by pairing it with leather and distressed denim. Again, thanks to the revival of 80s fashion we can welcome back borderline-obscene necklines, inflated shoulders, and over-the-top sleeves. An exaggerated V-neck, as seen on the Saint Laurent and Elie Saab runways, brings an element of raw seduction and defiance back to fashion. Oversized sleeves, loved by designers including Jacquemus and Ashley Williams, continues the dramatic style we first saw in SS16 & AW16. The bigger you go, the better it looks; use poplin, ruffle and flute details to achieve the look. Style Tip: Wear these attention-grabbing pieces with simple trousers and accessories to make sure all eyes stay where they’re meant to. Yes I know. Surprise, surprise florals are back. This season we have florals for every occasion; bold additions for your workwear wardrobe, ditsy prints for your weekend activities and a multitude of colours for everything in between. 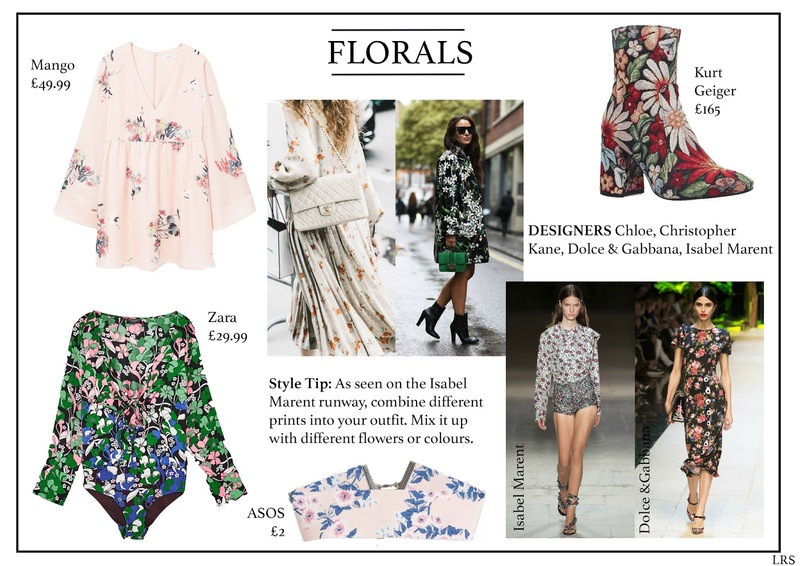 In terms of flowers, you can choose between Chloe's detailed English Gardens or Dolce & Gabbana's expressive Sicilian Florals. It's the perfect compliment to a sunny country day. Style Tip: As seen on the Isabel Marent runway, combine different prints into your outfit. Mix it up with different flowers or colours. Thanks for posting these upcoming style trends and mentioning some very helpful styling tips along. I’m excited about the metallics and floral prints the most.